According to the City of Bloomington, Elm Heights "is an eclectic mix of international architecture locally reinterpreted with consummate skill in its limestone detailing. It was an era when revival styles were popular across the country. Because of this, features like windows, doors and entryways have more diverse forms and ornament than in other neighborhoods. But in Elm Heights and particularly Vinegar Hill the details are intimate, humorous or transcendent." 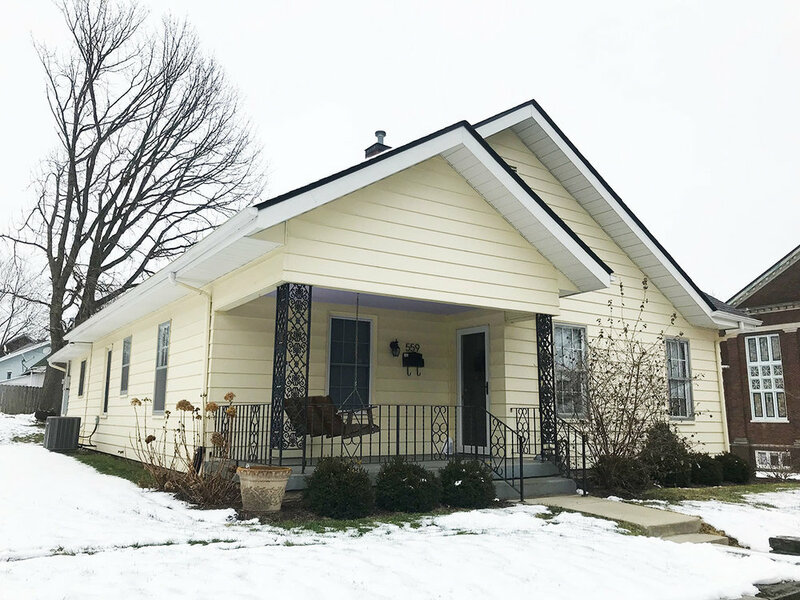 This bungalow is a perfect example that features large living spaces with original window casings, crown molding and hardwood floors. Lots of natural light fills every space. In the kitchen you will find a large commercial gas range and an entrance to your back deck. The basement includes a space that is currently being used as a third bedroom, complete with a closet and french doors for outdoor access. If you are interested in urban living you do not want to miss out on this great opportunity!